Any parent of a child with autism understands the beauty of discovering a fun-filled, autism sensitive family activity. Thankfully, 2019 is full of options! Whether you live in North, Central or South Jersey, there is something for you on this list. This top 10, selected by the Friends of Cyrus Children’s ABA clinic team, includes activities that are: 1) Super fun, and 2) Not limited to just a single event or two. After all, any family can be in the mood for some spontaneity from time to time! 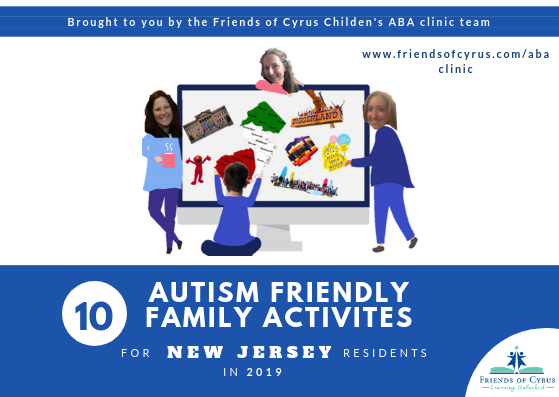 Without further ado, here are our picks for New Jersey’s top 10 children’s autism friendly activities of 2019. Let’s start things off with this year’s no-brainer. 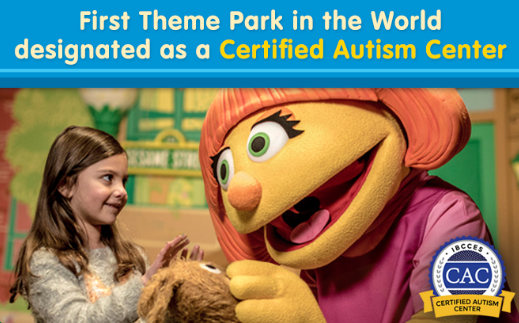 In April of 2018, Sesame Place, located just 30 minutes North of Philadelphia and 30 minutes west of Trenton, became America’s first autism certified theme park. Partnering with The International Board of Credentialing and Continuing Education Standards, Sesame Place trains every one of its staff members and offers specialized dining options, quiet rooms, low sensory areas, low sensory parade viewing, a ride accessibility program and more. Staff are trained on topics ranging from sensory awareness, to motor skills, social skills, and surrounding environment awareness. All of the park’s rides are ranked on a special sensory guide from 1-10. Not too bad for a <1 drive for the majority of New Jersey! Many parents of autistic children will already be familiar with the arcade and restaurant chain’s unique attention and commitment to families with children on the autism spectrum. 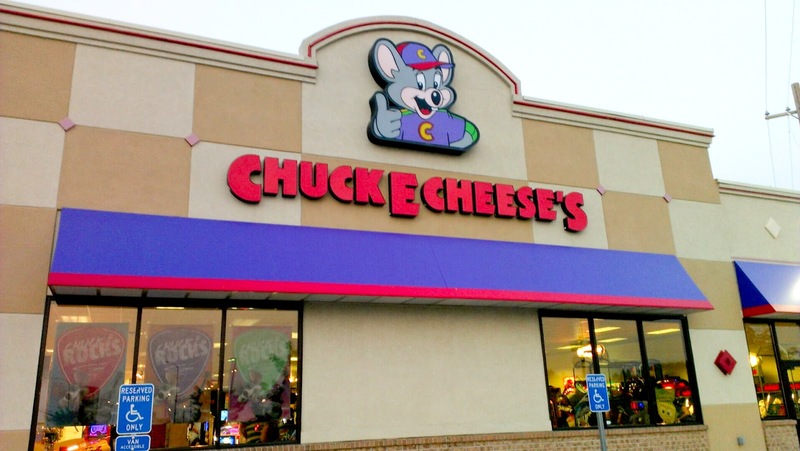 Several Chuck E. Cheese locations provide a “Sensory Sunday” event, normally the first Sunday of every month. Autism-sensitive considerations include reduced lighting, noise, trained staff members, and food and game considerations. Location: Participating locations include: Bricktown, Bridgewater, Cherry Hill, Deptford, East Hanover, Edison, Jersey City, Mays Landing, Paramus, Union, Wayne, West Windsor. Time: First Sunday of every month, 2 hours before open time. AMC’s Sensory Friendly Film program is widespread and available on the second and fourth Saturday of every month, as well as Tuesday evenings for mature audiences. Naturally, movies will vary over time. Check the website link below to see current sensory friendly films. 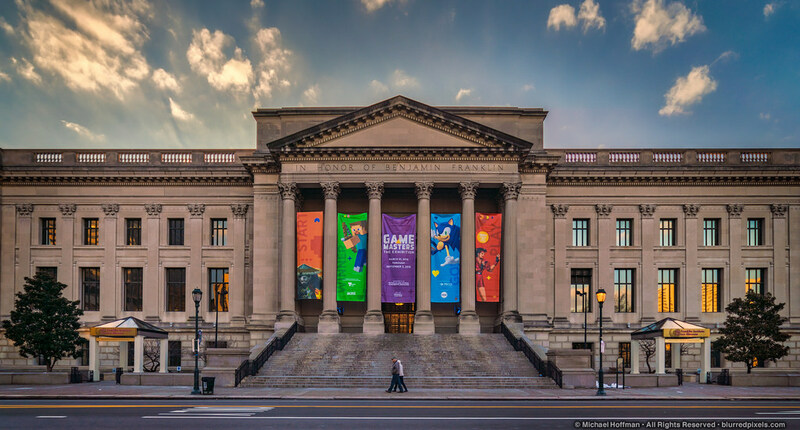 Those of us born and bred in the South Jersey may well recall piling up in a school bus with our classmates early in the morning, in route to the famed Franklin Institute science museum. As is often the case with institutional thought leaders, Ben Franklin’s namesake has taken the inclusivity plunge. Everyday: The Franklin Institute provides “sensory alert maps” which are designed to help parents understand which areas of the museum are likely to have high levels of noise, lights, and stimulation. They also provide sensory backpacks, filled with sunglasses, weighted toys, noise-reducing headphones and more. The museum also specifies the location of quiet exhibits. Sundays: Sensory-Friendly Sundays include modified exhibits and events. The Please Touch Museum is a dream come true for the curious kid. The name of the game is learning through play, and the museum provides opportunities for all children to do so at their own pace. For parents who have children with special needs, it isn’t hard to find the museum’s dedicated quiet spaces. Staff members are trained to work with kids with any number of special considerations, and noise reducing headphones are always on hand. Time: Dates and Times TBA – Call soon to find out! There are a host of live, autism sensitive performances across NJ and our neighboring states every year. Here is a list! Aladdin: Sunday March 3, 2019 at 1 p.m.
My Fair Lady: Sunday May 5, 2019 at 1 p.m. In addition to all this, the non-profit also advocates for legislation that supports individuals with autism and their families. 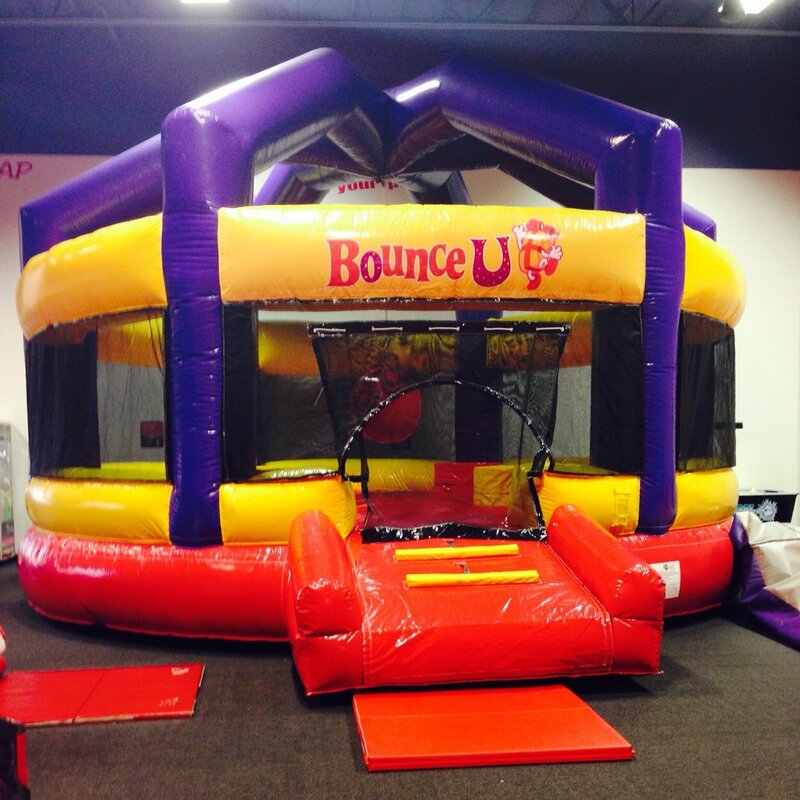 A fun activity for most kids, Bounce, Trampoline, or Skyzones as they are often called, all offer the same thing: The ability for to jump higher than Michael Jordan. Oh, and have a blast. There are many options and most provide sensory sensitive hours. Here are a few options to check out. Skyzone – Lakewood, Ocean Twp, Hamilton, Moorestown, Springfield, South Elizabeth, times vary. 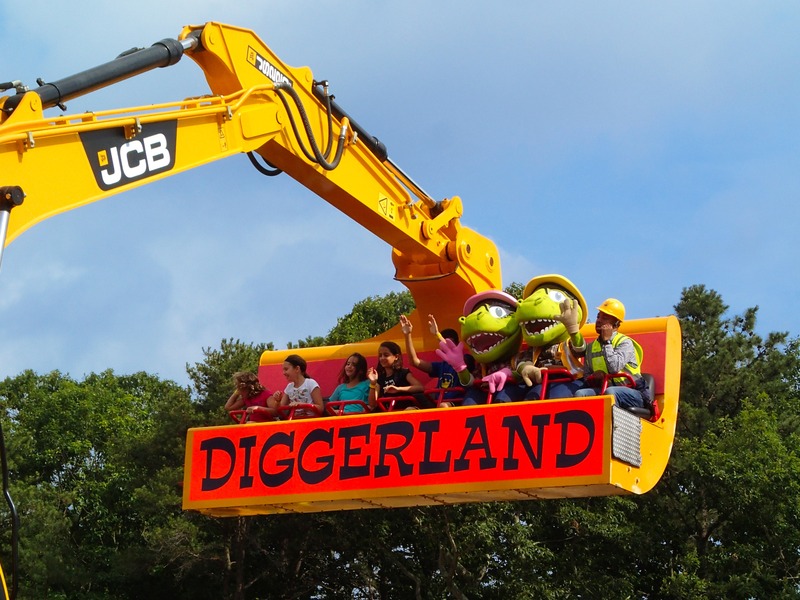 A theme park originally hailing from the UK, Digglerland opened its first USA based theme park in West Berlin New Jersey in 2014. The park offers a host of rides, attractions and events, ranging from ziplines, to rock walls, to rope courses, and more. Diggerland team members do a nice job accommodating special need kids throughout the park’s open season, and they also host a SAND event (Special Abilities Night at Diggerland). Time: Open between March and November. Call for more info. A cool opportunity (and story!) for our South Jersey Residents, the heart of surfing is a non-profit organization that teaches kids with special needs how to surf, roller skate, engage in fitness, yoga, arts and crafts and more. The organization started five years ago with just a few participating families. Today, it’s much bigger and still growing! There you have it! New Jersey’s top 10 children’s autism friendly activities for the new year. Welcome 2019! We can’t wait to see what you have in store for us. To learn more about the authors of this article, check out the brand new FOC Children’s ABA Clinic by clicking here. To visit our website, click here. To join an educational community about childhood autism and early intervention, join our (very new!) Facebook group.